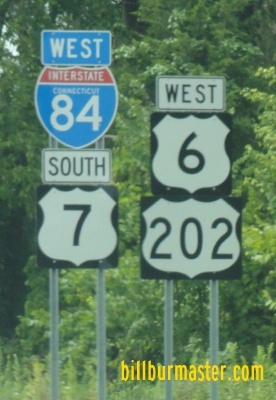 Interstate 84 runs east-west across Western and Central Connecticut. 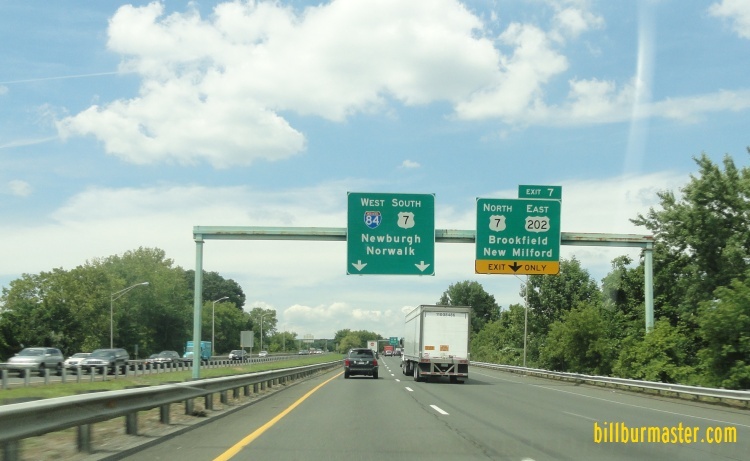 It goes from the New York/Connecticut State Line, near Danbury, to the Connecticut/Massachusetts State Line, near Mashapaug. 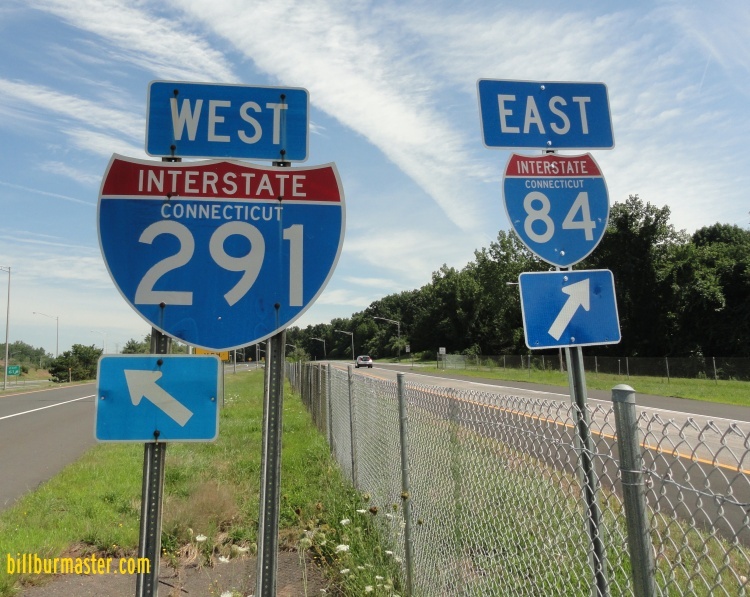 There are two "children" interstates of I-84 in Connecticut. 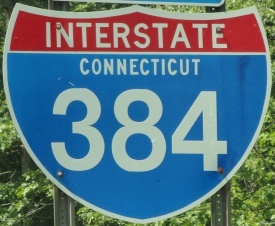 Only one (I-384) connects to their "parent", I-84. 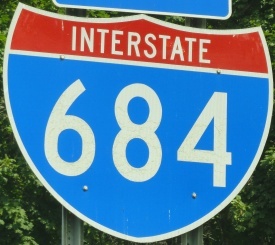 Interstate 684, crosses into Connecticut from the State of New York for about one mile, near Round Hill. 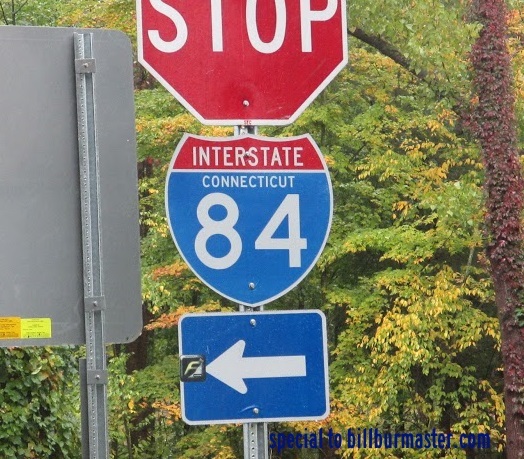 While in Connecticut, I-84 is multi-plex. ...U.S. Rt. 7, at Danbury. ...U.S. Rt. 6, at Danbury. ...U.S. Rt. 202, at Danbury. ...U.S. Rt. 6, from Newtown to Southbury. 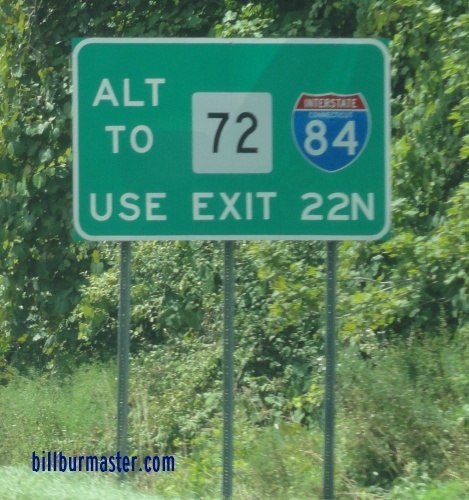 ...Connecticut State Route 72, from near Plainville to New Britian. ...U.S. Rt. 6, from near Farmington to East Hartford. ...U.S. Rt. 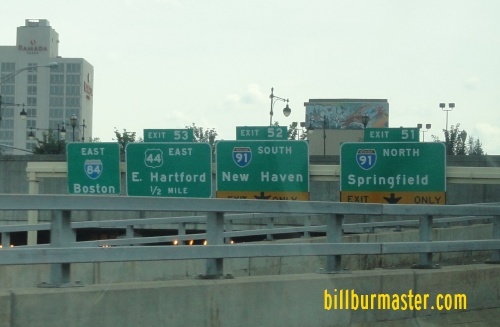 44, from Hartford to East Hartford. 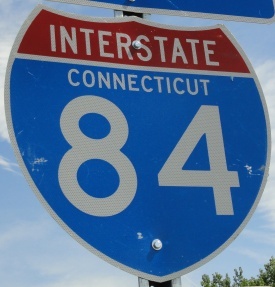 In Connecticut, Interstate 84 crosses the following interstates. 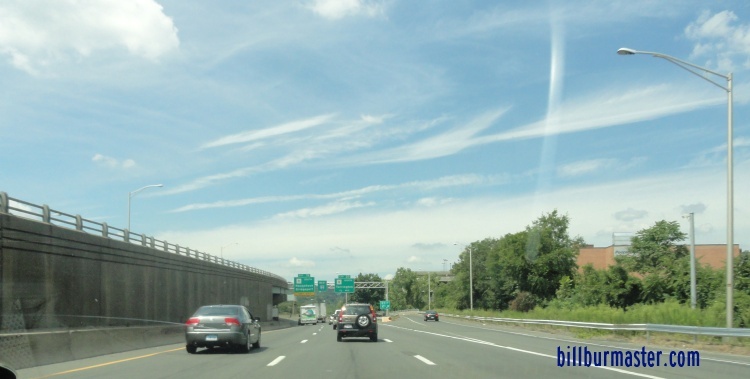 BGS's on EB I-84 near I-91. 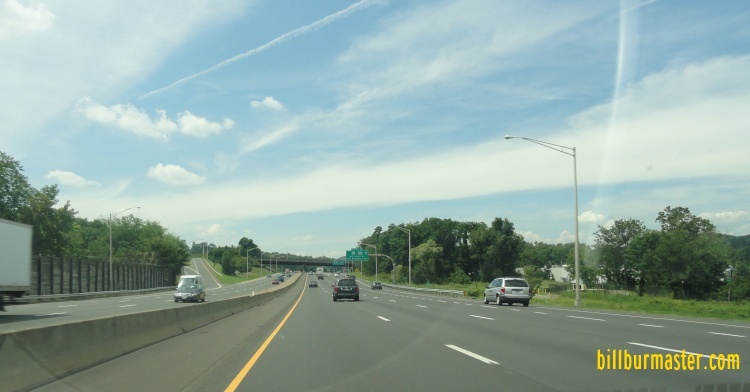 Interstate 384, at East Hartford. 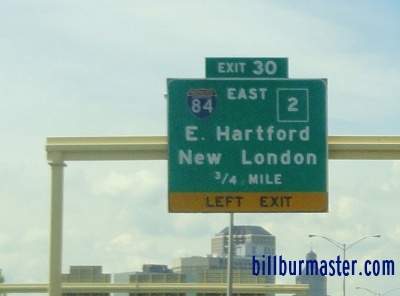 Interstate 291, at East Hartford. A set of BGS on EB I-84 near I-291. 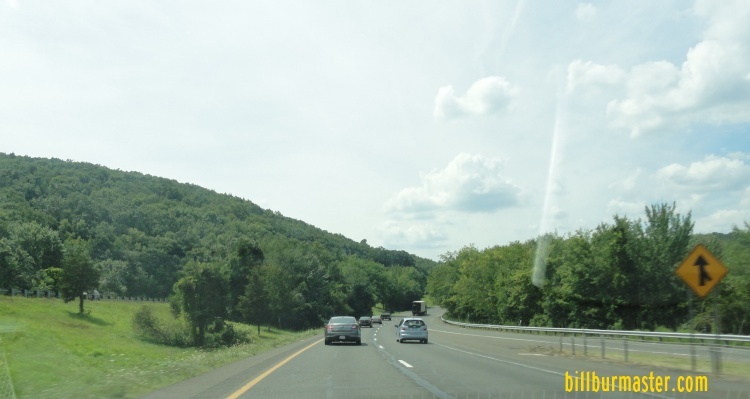 Branches of I-84 in Connecticut. 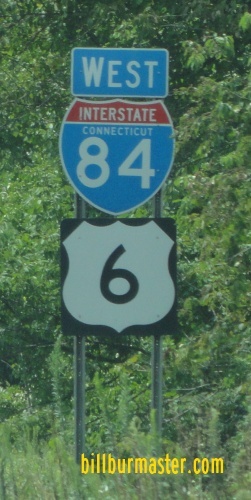 The Connecticut Welcome sign on WB I-84. A guide marker at the Connecticut Welcome Center. 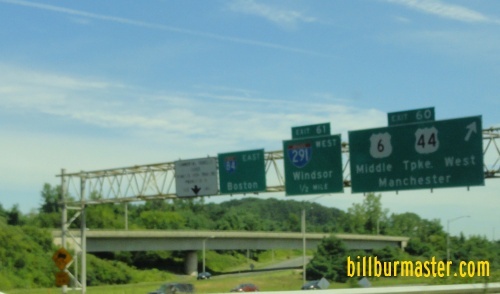 A set of guide markers on the ramps from I-84/384. 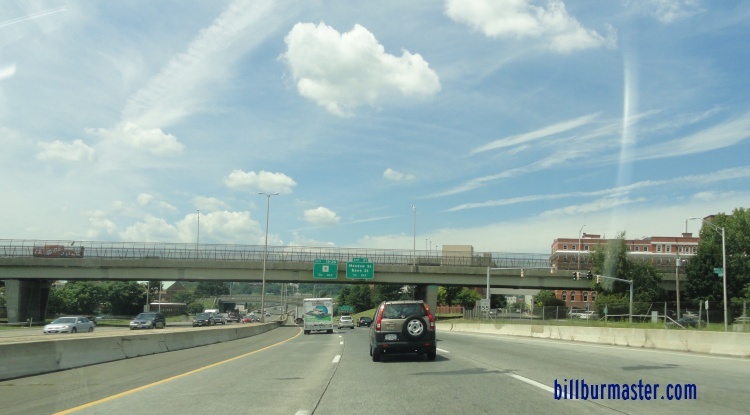 WB I-84/U.S. Rt. 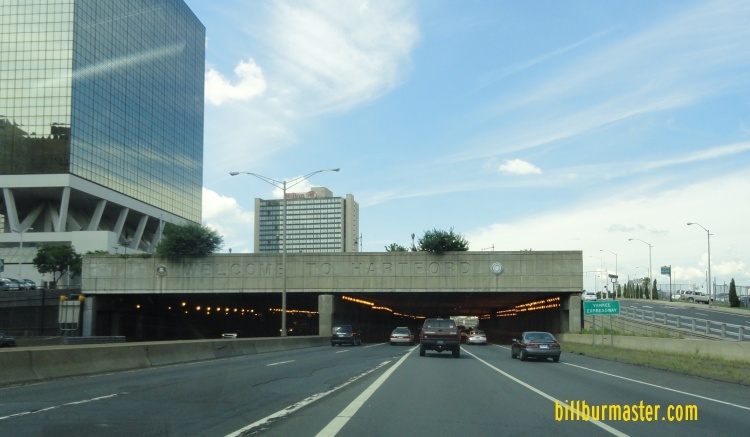 6 at Downtown Hartford. WB I-84/U.S. Rt. 6 near Turmbull in Hartford. 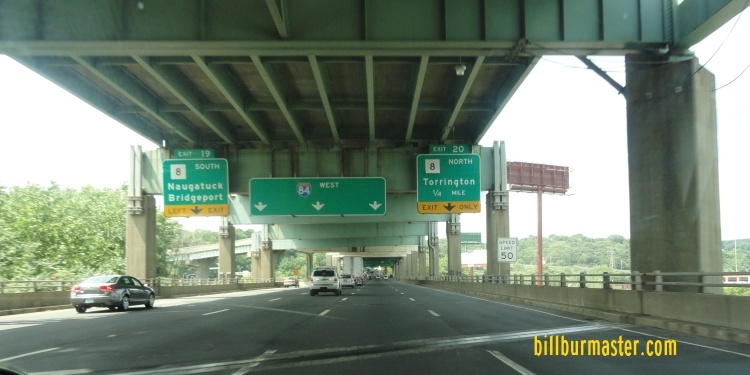 WB I-84/U.S. Rt. 6 near High in Hartford. 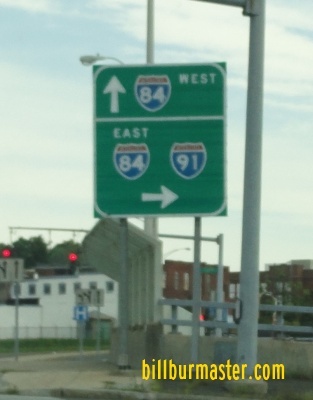 WB I-84 on the eastside of Waterbury. 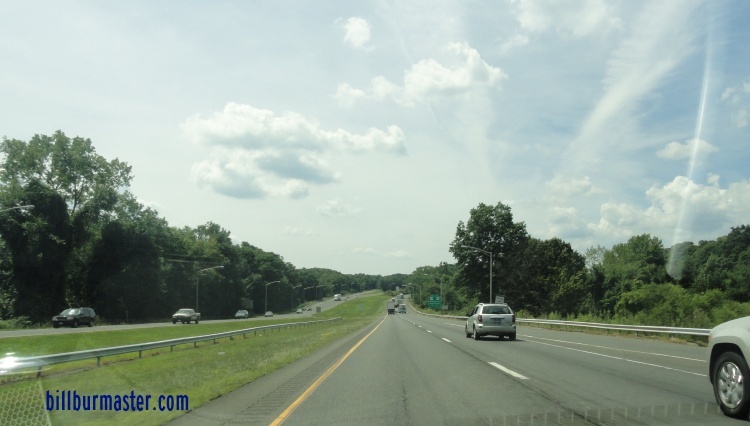 WB I-84 east of the Naugatuck River. 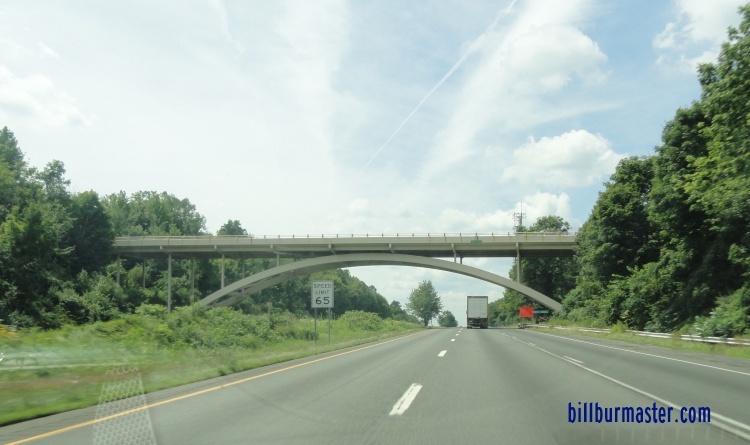 WB I-84 crossing the Maugatuck River. WB I-84 near Highland Ave. in Waterbury. 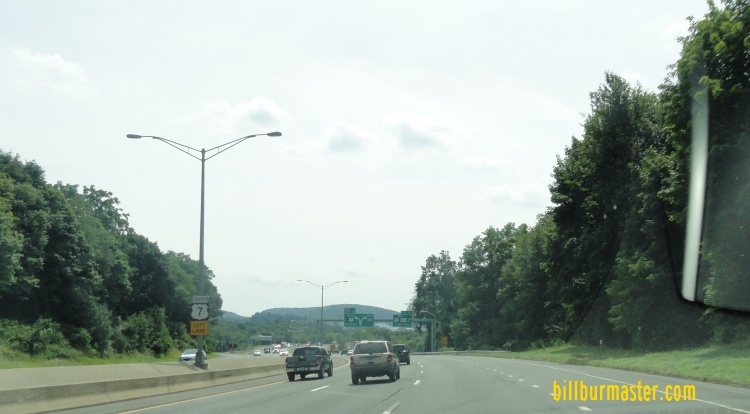 WB I-84 on the westside of Waterbury. WB I-84 near CT St Rt 63/64. 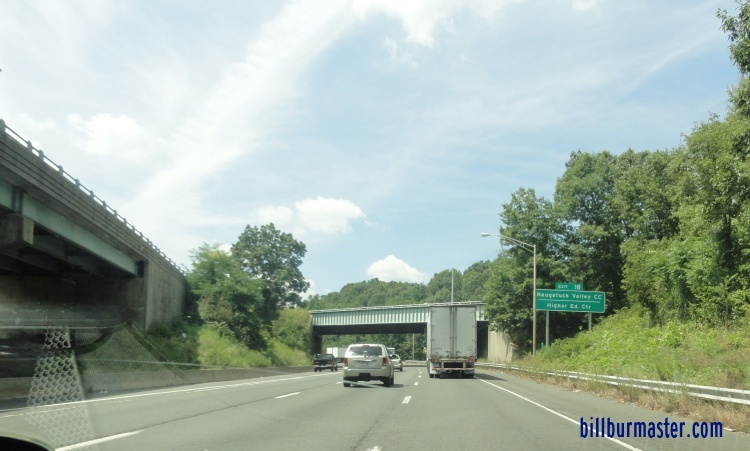 WB I-84/U.S. Rt. 6, near Rocky Glen State Park. 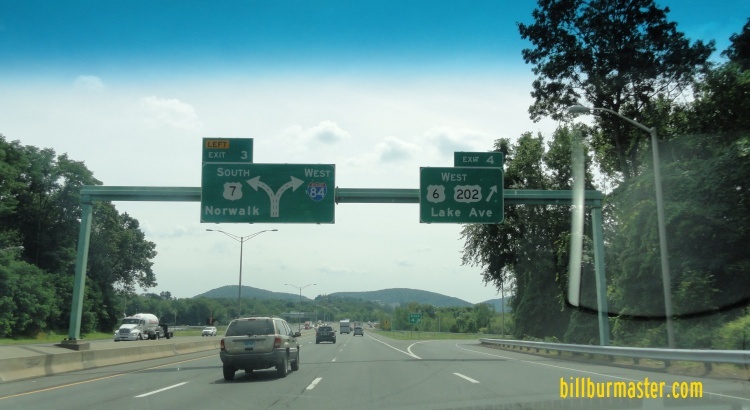 WB I-84/U.S. Rt. 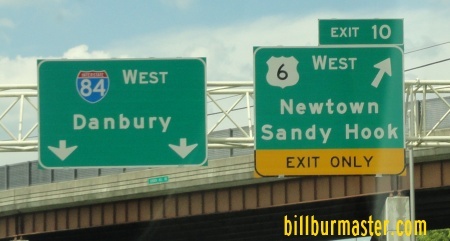 6 near Sandy Hook. 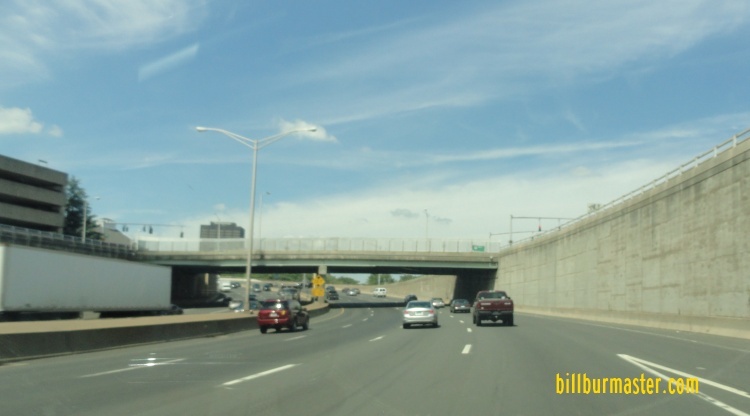 WB I-84/U.S. Rt. 6 in Danbury. 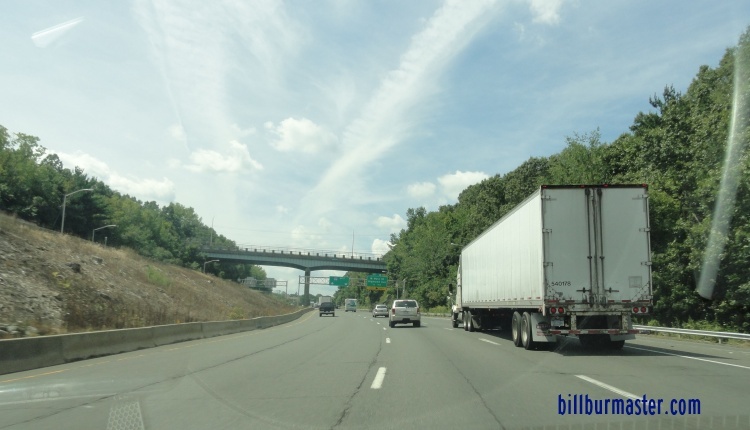 WB I-84/U.S. Rt. 6-202/SB U.S. Rt. 7 near Ridgewood Country Club. A set of BGS's on WB I-84/U.S. Rt. 6-202/SB U.S. Rt. 7. 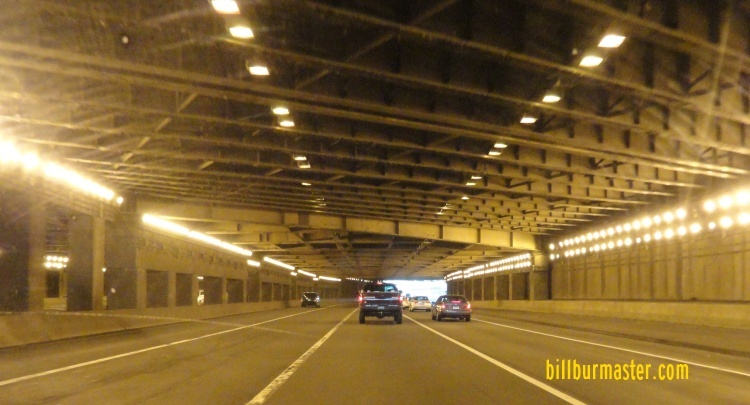 WB I-84/SB U.S. Rt. 7 at WB U.S. Rt. 6/202. 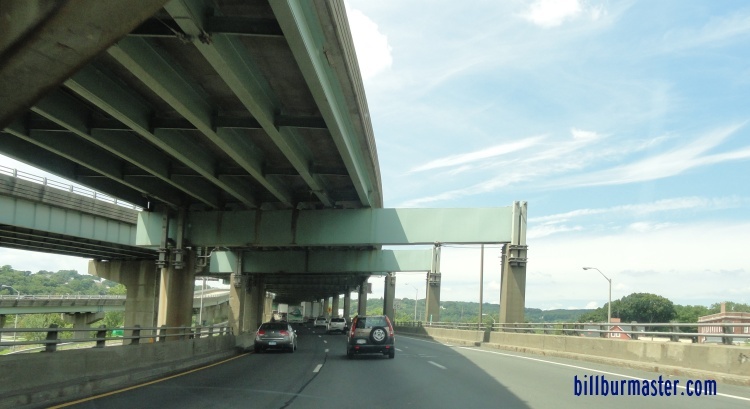 A BGS on WB I-84/SB U.S. Rt. 7. 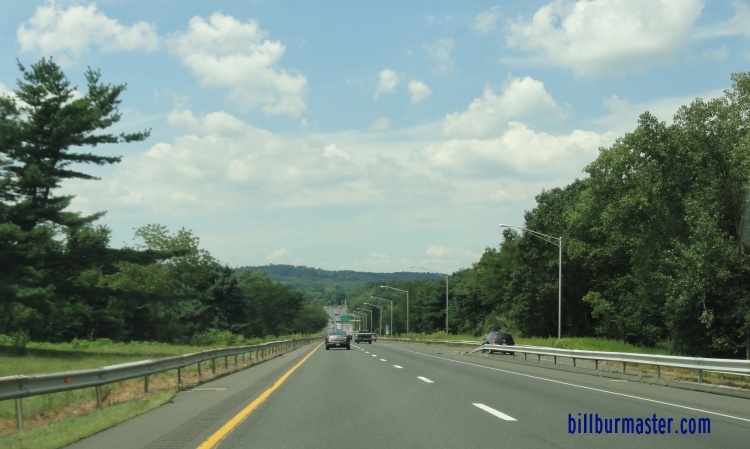 WB I-84 near the New York State Line.